This beautiful and bespoke Rotary Hackle Pliers have been designed and manufactured by the well-known Yorkshire grayling angler Brian L Clarke. 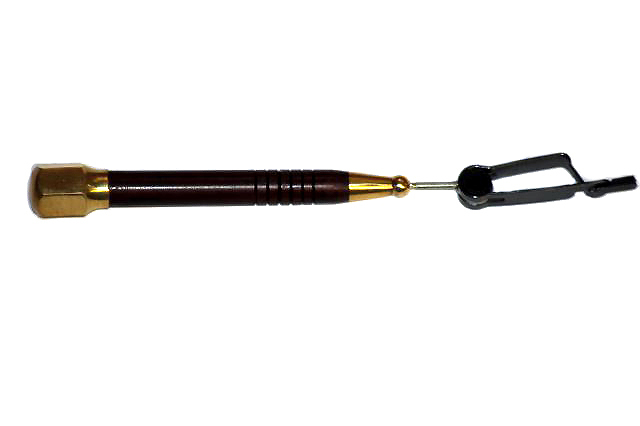 They feature a superbly tooled wooden handle finished off with quality brass fittings, to produce one of the finest fly-tying tools on the market. Perfect for tying parachute style dry flies. A superb dubbing brush designed and manufactured by Brian L Clarke. A superb rotary whip finish tool designed and manufactured by Brian L Clarke. A superb rotary whip finish tool designed and manufactured to Hans Van Klinken.